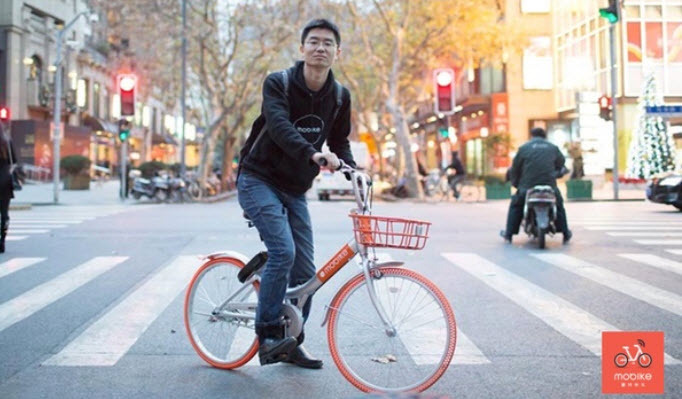 In just two years David Wang, a very switched on young Chinese man left his 'job' as GM at Shanghi Uber to create the Uber of bikes, Mobike ... which is now reputably worth $billion. This week Xiaofeng did a deal with Foxconn which will get 10 million Mobikes on the road by the end of this year. His plan is to be in 100 cities in China, and be international by the end of this year. Talk about super size me ... that's FAST GROWTH. The idea is so simple and possible because of the Mobike App that allows you to locate a bike near you, unlock it and take your ride, all for 15 cents an hour.